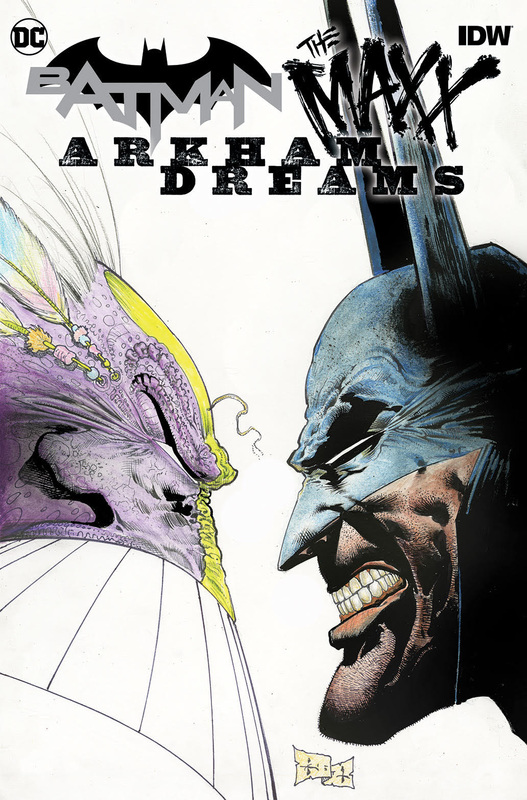 Sam Kieth Makes Long-Awaited Return to The Outback in "Batman / The Maxx: Arkham Dreams"
“It’s always a pleasure to work with Sam Kieth,” says editor Scott Dunbier. “He puts his heart and soul into his art, and gives you something truly unique in the process. We can’t wait for people to see this!" Sam Kieth is a comic book writer and illustrator, best known for creating The Maxx and co-creating The Sandman. Kieth first came to prominence in the mid-1980s as the inker of Mage and Fish Police. In 1989, he penciled the “Preludes & Nocturnes” story arc of writer Neil Gaiman's celebrated series The Sandman. Four years later, Kieth created, plotted, and illustrated – with script assists from William Messner-Loebs and Alan Moore – the original series The Maxx, which ran for 35 issues. In 1995, The Maxx was adapted as part of the short-lived animation series MTV's Oddities. After a lengthy hiatus from comics, Kieth returned in the early 2000s with the series Zero Girl for DC Comics' Wildstorm imprint, followed by Four Women and Zero Girl: Full Circle. In 2010, Kieth wrote and illustrated the original hardcover graphic novel Arkham Asylum: Madness, which spent two weeks on The New York Times Best Seller list, reaching number five in the category of "Hardcover Graphic Books."